I’m currently reading Sealskin by Su Bristow. I’ve read so many wonderful reviews of this book and I do love a bit of folklore and magical realism. I only managed a few lines last night before I nodded off…tiredness after a hectic week won out. I am looking forward to getting completely lost in this story though. Last week on the blog I reviewed two very different but equally great books. If you’d like to check out my reviews, just click on the images. I also had a couple of new books make their way to me. And finally, some exciting news was that Katherine at BibliomaniacUK nominated me for a Blogger Recognition Award, which was very much appreciated. It’s always really lovely to have acceptance from other bloggers and to know they like what you do. It really is what I missed most about the book blogging community while I was away from it. Thanks Katherine, I’ll be reciprocating next week with a post and some nominations of my own. I've been noticing a trend in titles lately, with the word “husband” or “husband's” showing up everywhere. I am currently reading My Husband's Wife. 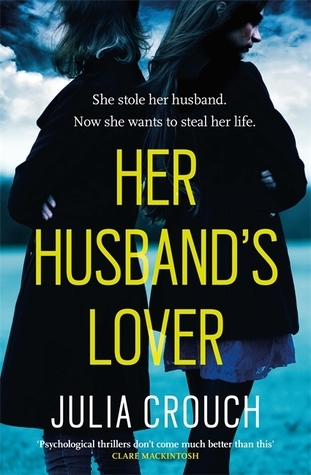 I like the look of Her Husband's Lover, but it isn't available to buy here…yet? Or ever? It might show up later. I've noticed that happening with books. Congrats on the award! And Behind Her Eyes looks like a great thriller- hope it turned out well.